Want to see even more of Apple’s super-secretive headquarters? We’ve just added over 35 photos to our gallery of the inside of Apple’s Cupertino, California campus, more than doubling the original count. After the huge response to our Inside Apple HQ article, I set out on another exhaustive search to see if I could find more photos from inside the mothership. With a little creative searching, I was surprised to turned up a huge number of new pics, showing off areas from inside Apple’s headquarters that you’ve never seen before. Among this batch of photos, you’ll find an entire new section on a part of Apple’s campus called the Executive Briefing Center, a posh, modern area where Apple conducts meetings with its business partners (among other uses). 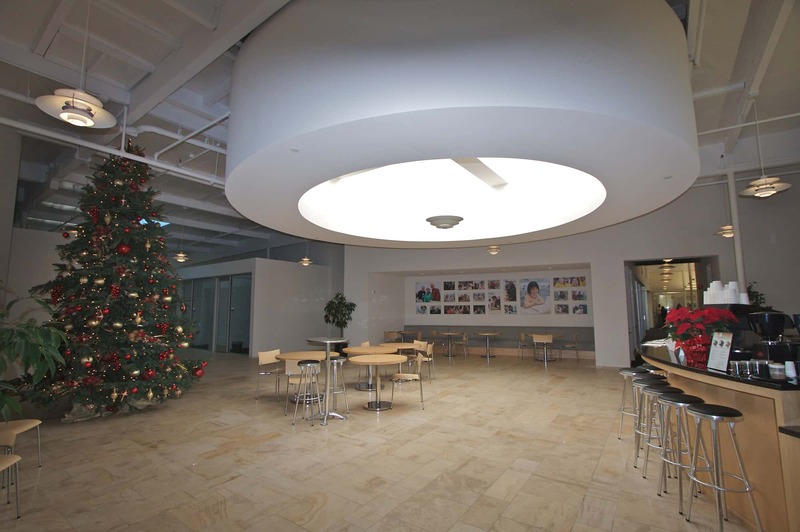 You’ll also see insider looks at Apple employees and the spaces where they work, such as offices and cubicles. 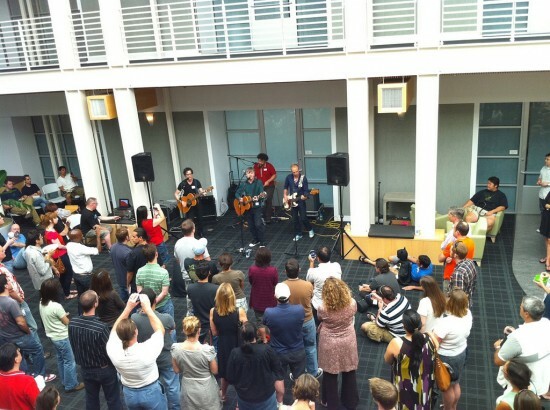 We’ve got new pics of a nice Break Room, some cool lunchtime concerts for employees in a large atrium space (including the one above), and even (shh!) a few shots of a computer lab. To keep things simple, I decided to add all of these new pictures to the original Inside Apple HQ article & gallery, making it the most comprehensive collection of Apple Headquarters ever compiled. Head over there to see more ultra-rare images that Apple probably doesn’t want you to see.